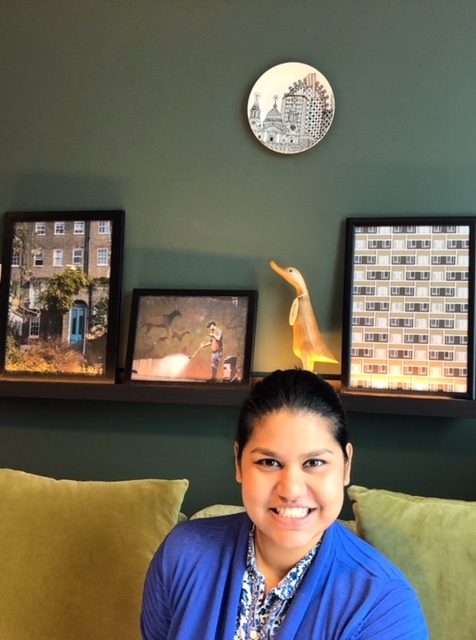 Imagine checking-in to your accommodation in London only to find a stylish sleek kitchen waiting to welcome you to your home from home. 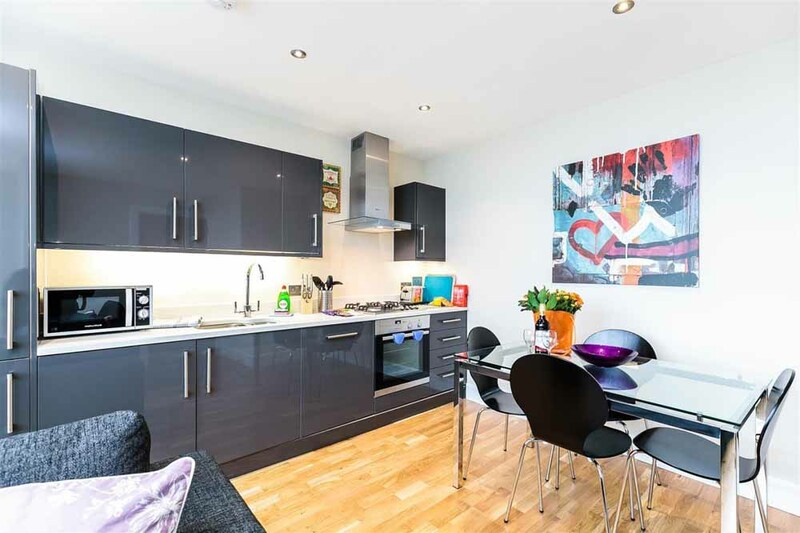 Why not, all of the serviced apartments on Check-in-London come with fully equipped kitchens or kitchenettes, and some are truly breathtaking. Needless to say, you won't find any of these in a hotel or airbnb rental. Did we also mention, they come with dishwashers and washer dryers? Ideal for short or long stays. 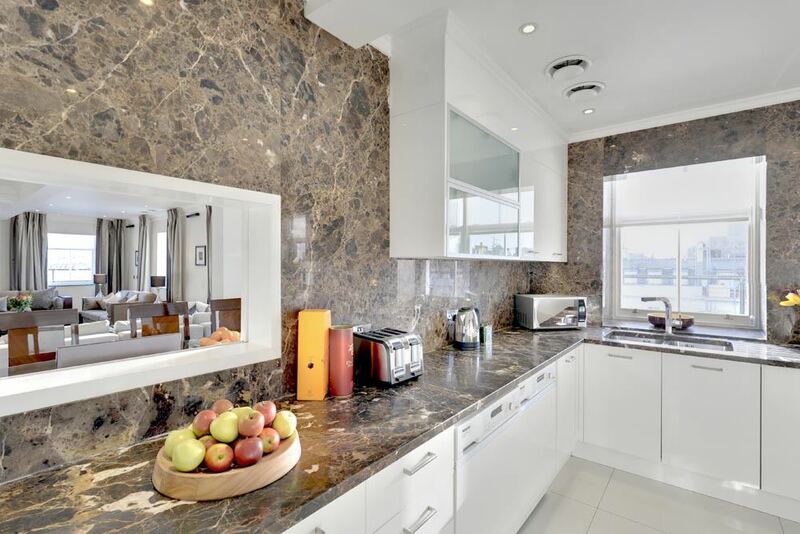 So for a truly special self-catering experience pick an apartment with a kitchen that you can't wait to dine-in and spend quality time or just relax with loved ones or friends and colleagues. This fabulous Mayfair penthouse apartment at Mayfair House Apartments is complimented by an equally fantastic kitchen. 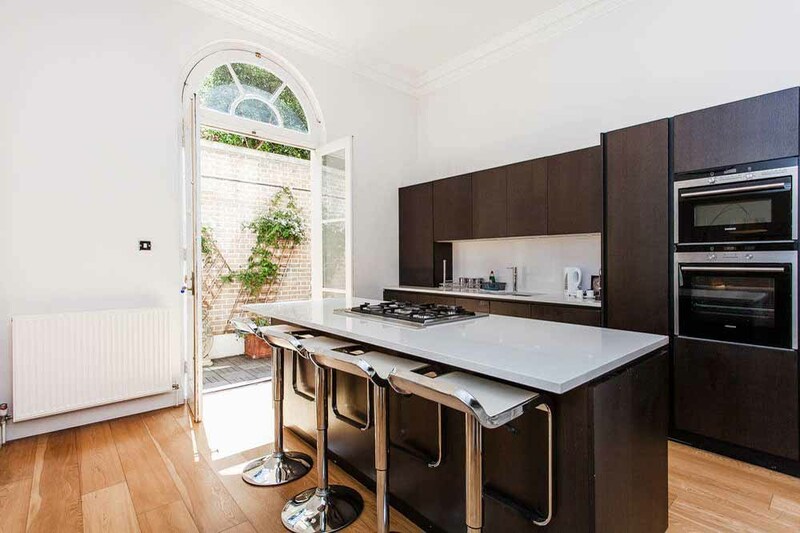 Just look at the amount of space on offer here, and that's on top of a well-positioned marble kitchen island, an enormous fridge freezer, carefully integrated appliances and large bright windows. 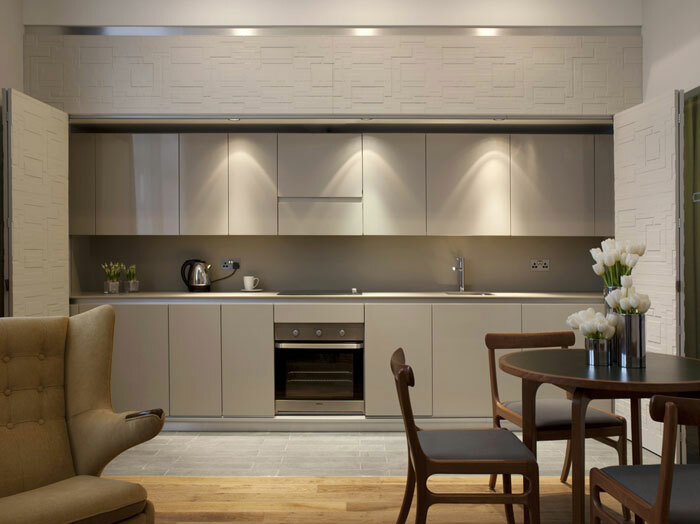 Elegant minimalism is the key word at the stylish kitchens of this Premium Two Bedroom Apartment at Como Metropolitan Apartments in the heart of Mayfair. Flooded with natural light and high ceilings and only minutes from Hyde Park, you could be sitting at this sleek kitchen island enjoying a hearty meal. 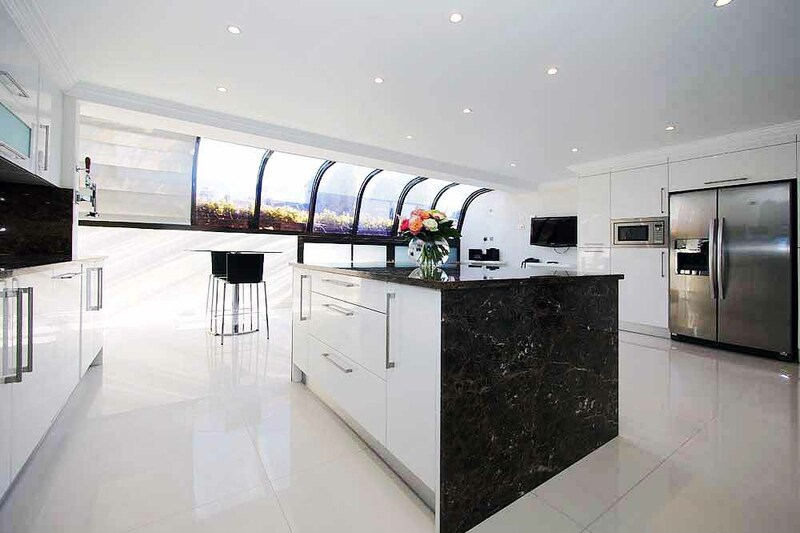 Pristine marble interiors make this contemporary kitchen at the Four Bedroom Apartment at 130 Queen's Gate an important addition to our list. 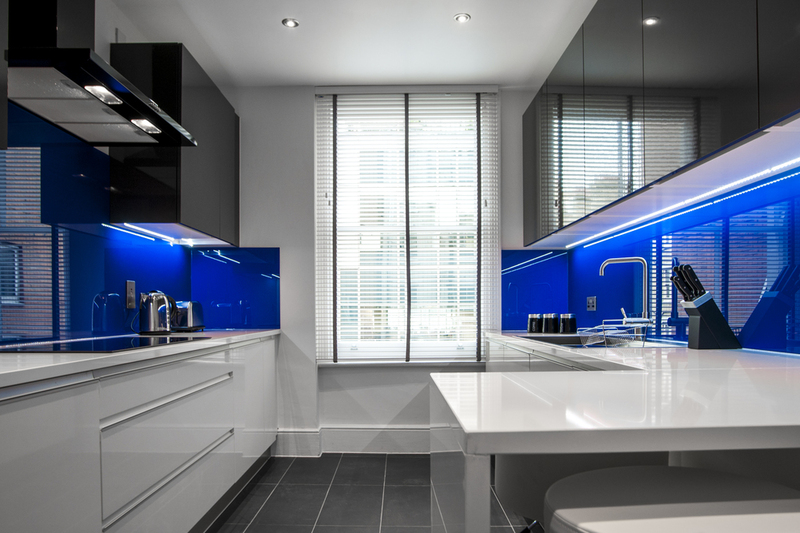 You may feel like you have stepped into the future with these brightly lit electric blue splashbacks, but if you look a little closer, you will also see a wide range of high-spec integrated appliances and all the cooking essentials provided for your stay. This kitchen makes it on our list for its lovely social setting. Perfect for relaxing with friends in style and being the heart of the home. 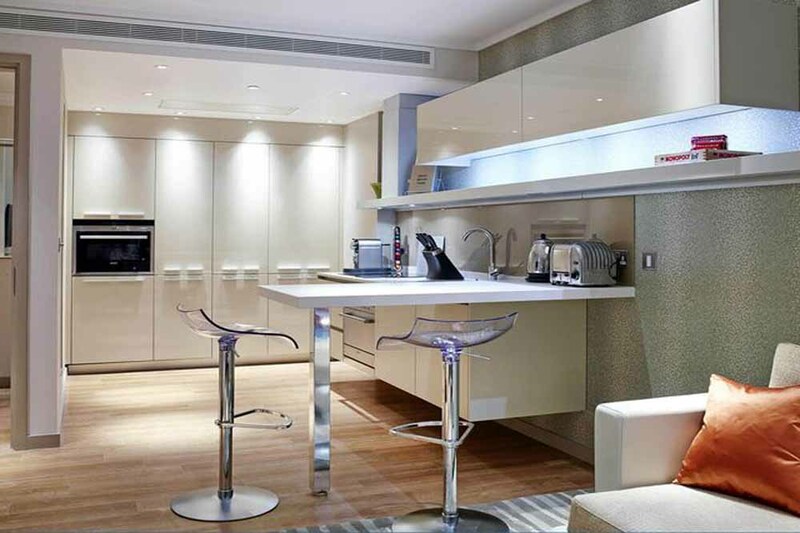 We absolutely love the layout, the design details and the open-plan aspect of this Cheval Knightsbridge kitchen. Simplistic luxury is what the Town Hall Apartments are all about, and these neat and discreet kitchens embody that very aesthetic too. They lie behind a fold-able textured wall that you can open and close as you please. Very neat! 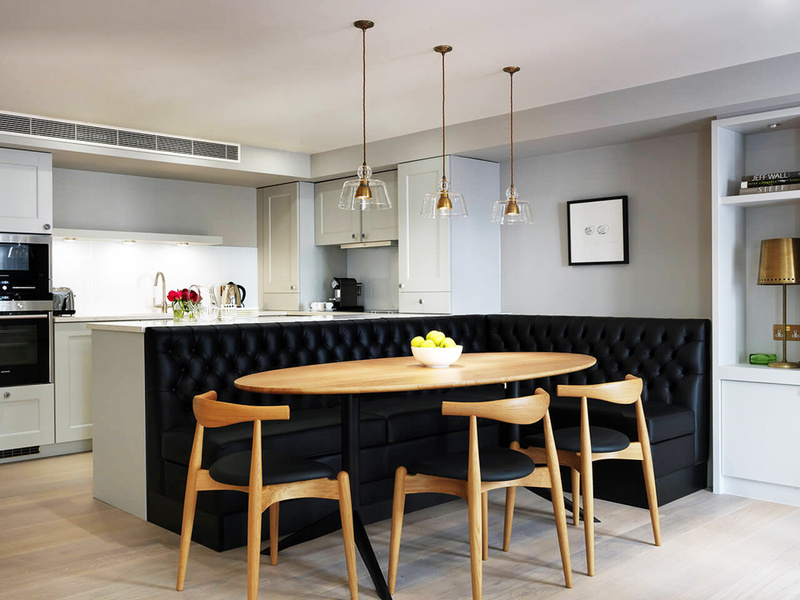 The uber cool and award-winning Cheval Three Quays apartments get our vote for their clever lighting and ultra modern furnishings. There's also a great range of designer appliances to match.